1. Rental Costs: The rental fee is payable by COD, bank-transfer/direct deposit or bank cheque. Payments via bank transfer need to be paid at least 3 working days before castle hire date. All booking cancelled within 7 days of castle hire date will incur a $50 cancellation fee. 2. Delivery: Delivery will be to the street address as specified by the Lessee. The Lessee hereby grants the Lessor the right to enter the property at the agreed street address for the delivery and subsequent set up and pack up of the jumping castle unit. 3. Delivery Fees: Delivery fees are generally included in the rental cost for delivery to addresses within 20km’s from Sale. For areas outside the free delivery zone, additional fees will be discussed at the time of bookin The jumping castle(s) must be READY FOR COLLECTION at the agreed end time – otherwise an ‘extended time’ fee will apply. 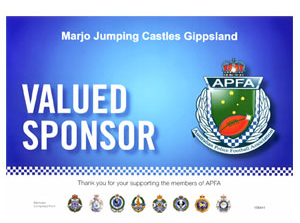 4.1 A maximum of EIGHT (8) children 3-8 years are permitted on the jumping castle(s) at any one time or a maximum of SIX (6) children aged 9-12 years. 4.2 Total maximum weight at any one time should not exceed 450kg for the medium jump and 600kg for the large combo’s. 4.3 No one person weighing 100kg or more is permitted on the jumping castle(s). 4.4 Adults are not permitted on the jumping castle(s) unless hire is exclusively for adult use only. Children not permitted to ride/jump on these occasions. 4.5 All riders must remove shoes and socks before playing on the jumping castle(s). 4.6 To avoid injuries flips, wrestling and rough play is not allowed. 4.7 No toys, eye glasses, sharp or foreign objects of any kind are permitted on the castle(s). 4.8 An adult MUST be present to supervise children on the jumping castle(s) AT ALL TIMES. The safety of children is your responsibility at all times. 4.9 Absolutely no pets, lollies, food, drinks, spray silly string, sand, mud, dirt or other sticky substances are allowed on the jumping castle(s) at any time. If sticky items are found on the jumping castle(s) an additional cleaning fee may apply. 4.10 Once set-up for use the jumping castle(s) must not be moved. 4.11 The hirer (Lessee) must ensure the area where the jumping castle will be set up is free of pet droppings, rocks, sticks, glass or any other debris or sharp objects. 4.12 Pets must be restrained or removed from the area during the duration of the jumping castle(s) hire. 5. Maintenance: The Lessee agrees to keep the jumping castle(s) unit in the same condition as when received (ordinary wear and tear accepted). 6.2 If the jump castle(s) begins to deflate for any reason, immediately instruct children to carefully disembark through the main entrance. 6.3 Should the motor stop check the on/off switch on the blower, the extension cord connections or the portable safety switch. 6.4 If the motor is still running, check the air intake on the side of the motor for blockages, and check both tubes at the back of the jumping castle(s) unit for snugness and re-tie if necessary. 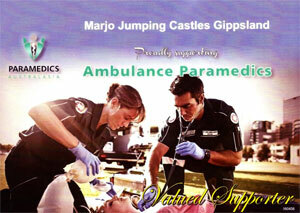 If the above does not correct the problem please call Marjo Jumping Castles Gippsland on 04030 30766 asap. 7. Rain Policy: During periods of severe weather conditions (rain, high winds etc), we reservethe right to cancel your bookin If conditions are not too severe we will give you the option of keeping your booking. There will be no refunds if you decide to keep the unit and proceed with the rental. 8. Severe Weather Instructions: If high winds in excess of 30 km/hr or heavy rain occur, immediately help the children evacuate the equipment in an orderly manne Disconnect the power supply and blower immediately and place power cord and blower undercover, out of the elements. 9. Damages: The Lessee acknowledges that he/she has been instructed about and fully understands the safe operational requirements of the jumping castle(s) unit and has read all Terms & Conditions listed herein. The Lessee agrees to observe all safety precaution The Lessee also warrants the safe return of the jumping castle(s) unit and hereby agrees to pay the full purchase price (minimum $2,000.00) if the jumping castle is not returned. There is a minimum fee of $500.00 for any repair(s) to the unit(s) due to the Lessees negligence. For major repairs the minimum fee of $500.00 will automatically apply + an hourly labour fee of $70.00 per hour + materials. 11. Warranty: The Lessor warrants that the jumping castle(s) that is/are being leased under this agreement will be in good working orde The unit is supplied and maintained subject to this warranty. The Lessor’s obligation under this rental agreement is limited to repair or replacement of the jumping castle(s) unit when the Lessor determines that it does not conform to this warranty. This warranty is in lieu of any and all other warranties expressed or implied, and of any and all obligations and of all liabilities on the part of the Lessor for damages, including, but not limited to consequential damages arising out of or in connection with the use or performance of the jumping castle(s) unit. 12. Title To: The Lessee agrees to keep the jumping castle(s) unit in his/her custody and not to sub- lease, rent, sell or remove the unit from the agreed delivery addre The jumping castle(s) unit remains the property of The Lessor at all times. 13. 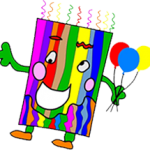 Release of Liability: The Lessee shall be in charge of the jumping castle(s) unit’s operation and any other rental equipment and is fully responsible for its safe operation as well as the return of all hire equipment in good working condition. The Lessor, its employees and agents is/are not responsible for injury occurring to the Lessee or to any other persons using the jumping castle(s) unit or any other rental equipment. The Lessee further agrees to hold the Lessor & its officers, employees and agents free & harmless against any injury or claim The Lessee shall indemnify the Lessor and its officers, employees or agents from/against any costs incurred due to claims from anyone and for attorney’s fees & related costs involving the use and return of the jumping castle(s) unit or any other rental equipment(s) should legal action become necessary. 14. Entire Agreement: The Rental Agreement constitutes the full agreement between the Lessor and Lessee. The Lessee hereby acknowledges that he/she has been fully instructed on the safety and operating procedures of the jumping castle(s) unit as outlined in this rental agreement. By signing below the Lessee accepts all TERMS of this rental agreement. The Lessee also hereby acknowledges that he/she has been verbally advised, has read, and understands the rules & supervision required.